Knowing more about a topic makes reading about it easier. It’s not that experts are telling teachers something they don’t know. Relying on prior knowledge is not a replacement for close reading, but you likely have plenty of first-hand examples of how lack of contextual knowledge derailed a reading experience for a student. 1. Connect with experts virtually. Give students memorable information to draw upon when reading. Use Skype a Scientistto chat with an expert in the field or lab anywhere in the world. 2. Take virtual field trips. Help the settings of students’ reading come alive. No plane ticket required! Common Sense Media has done the work of vetting many different resource options for both virtual reality and traditional screens. 3. Provide frequent sensory experiences. To fully appreciate James’s journey to the center of the giant peach, you really have to have touched, smelled, and tasted a regular-sized one yourself. Add a two-minute sensory experience to your morning meeting a few times a week. Play different music, breathe in new smells, touch an object from nature, or view a cultural artifact. Students’ sensory knowledge will add up over time. 4. Push for real-life special presentations and trips. Yes, there are so many barriers, like cost, time, and administrative pressure to keep up with curriculum pacing. Really, though, what’s going to help kids appreciate the majesty of Jane Yolen’s Owl Moon more than a naturalist visiting with a real owl? If field trips and special guests are a hard sell in your district, perhaps you can lobby for how they’ll improve students’ comprehension of grade-level texts! 5. Integrate literacy instruction with content area topics. Let your students’ science and social studies learning do double duty. Align your ELA reading list and mentor texts for strategy instruction with topics students are building background knowledge about already. 6. Use picture books for all ages. No matter how old your kids are, picture books are engaging and effective ways to build students’ knowledge about the world. 7. Don’t skip the back matter. So many picture books have amazing author’s notes, maps, recipes, activity directions, and timelines. Try sharing them ahead of time or share them and then reread the book with the additional information in mind. 8. Tap into kid-lit educator guides. Many publishers and author websites offer extensive free teacher guides for their titles, which generally include resources for building background knowledge of the book topic. Check out guides for hundreds of titles from diverse publisher Lee & Low Books. Multiple texts on the same topic build vocabulary and background knowledge. A variety of genres and formats, including picture books, poems, articles, and graphic novels, offers many entry points. For whole-class books or popular independent-reading titles, keep an ongoing file of background-boosting images and short texts. Newsela is a great place to start. 10. Link information and stories with biographies. Whether in honor of a holiday, significant month, or just because your students love baseball, biographies are the perfect package of historical background and relatable narratives. Make a commitment to share engaging titles regularly. 11. Take advantage of digital library possibilities. Extend the reach of literature-based knowledge building even further with digital options. Personalize the experience for kids by customizing text selections, adding annotations, including text in students’ home languages, and more. 12. Build in knowledge-boosting stopping points during reading. Rather than front-loading information about everything a student might need to know to understand a text, what about involving them in the knowledge-building process throughout the lesson? The Iowa Reading Research Center suggests providing “just enough” background information at designated stopping points during reading. Focusing on filling every knowledge gap for students will leave you feeling like you’re playing Whac-a-Mole. If each grade level in your school teams up to plan a deep dive into a core list of topics, that makes a big impact over time. This template for collaborative planning of background-building experiences would be great starting point. 14. Help students learn by mentoring. Kids begin growing their cache of knowledge about the world long before they need to draw on it for their own reading comprehension. You can’t go back in time to replace missed experiences, but you can have older students pay it forward. Try having peer mentors lead a science investigation, act out key concepts, or create pretend-play materials for younger kids. They’ll build their own background knowledge as they work! 15. A little video goes a long way. Classroom time is precious, but for a student who’s never seen the seashore or snow, a video clip creates a memorable impression to draw upon when reading. Scholastic Watch and Learn videos are quick and free, and they’re available in English and Spanish. 16. Build knowledge about feelings. Sometimes the background knowledge required to understand a book isn’t specific to a topic but related to characters’ emotional experiences. Students in classrooms that intentionally cultivate empathy will be better equipped to make sense of stories on a deeper level. 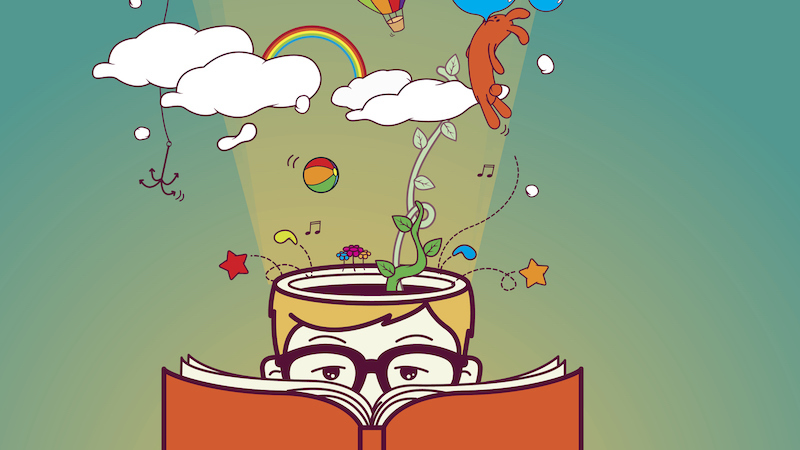 These 50 books for learning about emotions are a good place to start. 17. Give a prior knowledge self-assessment. A self-assessment of knowledge related to an upcoming reading assignment can help identify holes. Helping students recognize what they don’t know lets them take ownership of adding to their own schema. The Eberly Center at Carnegie Mellon University suggests some easy-to-adapt question formats. 18. Evaluate reading material for cultural relevance. Students’ background knowledge is linked to their cultural backgrounds. Involve students in considering how books are relevant to their own lives (or not). This rubric from ReadWriteThink is a useful tool. Plan for extra knowledge building when there are likely to be gaps for students. 19. Pool staff knowledge to share with students. Get to know your colleagues’ interests and agree to serve as resident experts for each other’s students. Mrs. X down the hall, state record holder in the 400m, probably has tons more information to share with students reading Jason Reynolds’s Track seriesthan you do. 20. Have students teach each other. Speaking of resident experts, you have a class full of them on everything from skateboarding to playing the violin to dealing with annoying siblings. Tie peer teaching to procedural writing or create a collection of videos using the Passport app. 21. Go straight to the source with interview assignments. First-person stories are so memorable. Tap into the knowledge of your community by having students conduct written or video interviews with family members or local experts on topics relevant to classroom reading. 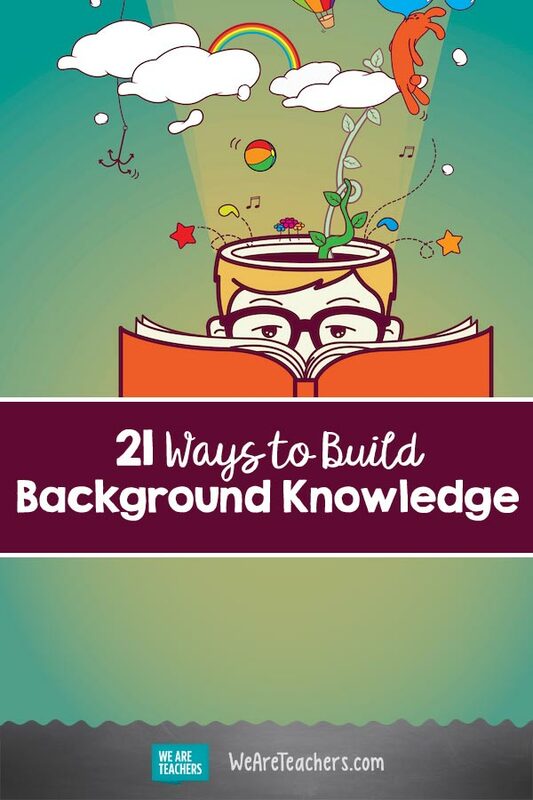 How do you help students build background knowledge to support their reading? Share your tips in our WeAreTeachers HELPLINE group on Facebook. Plus, our favorite anchor charts for reading comprehension.